The January 2013 Apis Newsletter by Malcolm T. Sanford is available online. 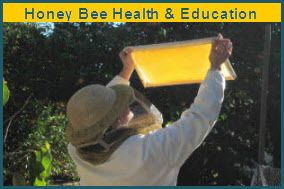 Some of the topics in this month's issue: The Canadian Pollination Initiative, Joe Traynor, and his yearly communications to beekeepers interested in the upcoming pollination season in California and how climate change is likely to affect California Agriculture, carbon tax, studies on the carbon footprint of various agricultural activities including beekeeping, the latest from the Extension Bee Health site, and much, much more. "Large old trees are critical in many natural and human-dominated environments. Studies of ecosystems around the world suggest populations of these trees are declining rapidly," he and colleagues Professor Bill Laurance of James Cook University, Australia, and Professor Jerry Franklin of Washington University, USA, say in their Science report. "Research is urgently needed to identify the causes of rapid losses of large old trees and strategies for improved management. Without… policy changes, large old trees will diminish or disappear in many ecosystems, leading to losses of their associated biota and ecosystem functions."